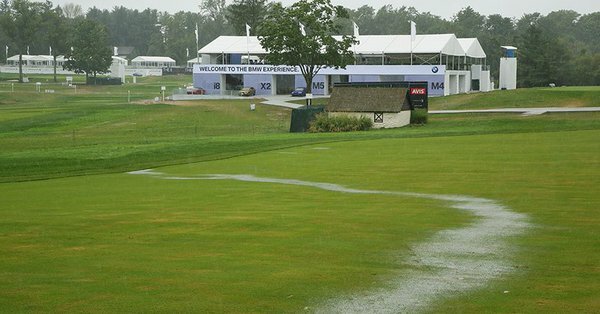 More than three inches of rain since late on Thursday night has drenched the host Aronimink course and it was still raining when at 2pm local time players were advised of the decision. 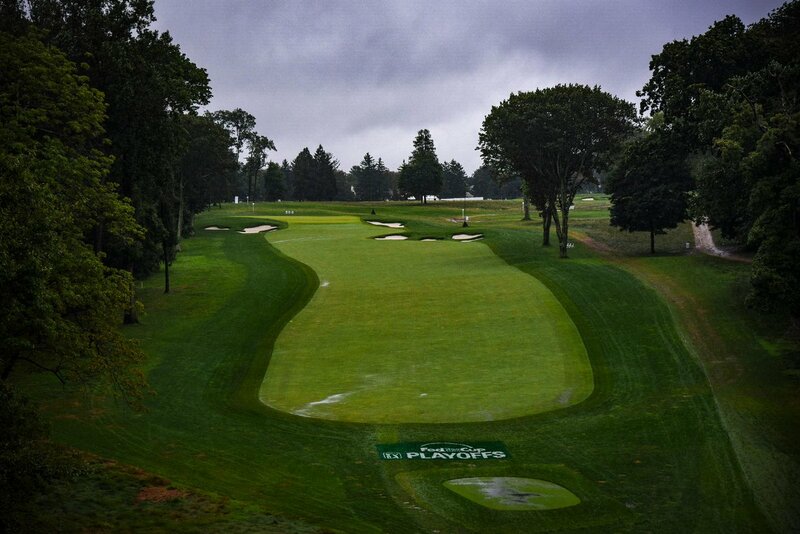 The Tour will attempt to start the final round at 7am Monday local time with a two-tee start and the 69 remaining players in the $6m event to be grouped in three balls. “It’s like we are kind of having to shovel sand against the tide, unfortunately, and that’s the sad part,” said Tour official, ‘Slugger’ White. “We will do everything we can to play tomorrow (Monday) but we have to wait and see what Mother Nature gives us,” White added. England’s Justin Rose enjoys a one-shot lead at 17-under par and should he succeed in capturing what would be a third Tour title in Philadelphia, he would go to No. 1 in the world and whether or not if the event were reduced to 54-holes. But there are other issues at stake with American Xander Schauffele tied with Rory McIlroy in second place on 16-under and just a shot adrift of Rose, as should Schauffele win he could more-than-likely secure the very last USA Ryder Cup ‘wildcard’ pick. USA Captain, Jim Furyk was set to make that announcement at 9am Monday US local time but that is now up-in-the-air given the tournament is heading for a Monday finish. As well, Tour organisers need to determine the leading 30 players on the FedEx Cup standings who will qualify for next fortnight’s season-ending Tour Championship in Atlanta. With this in mind, there is the bizarre scenario staring at three-time Major winning Jordan Spieth should no play take place on Monday. The Texan is currently tied 27th in the tournament and projected to drop from also 27th on the FedEx Cup standings to 31st, and one place shy of not qualifying for Atlanta. Spieth is also staring at the issue of not having played the minimum number of 25 events and needing to qualify for the Tour Championship to do so or face a Tour fine. The BMW Championship is Spieth’s 23rd Tour-counting event of the season while his appearance later this month in the Ryder Cup will also count towards the 25. “We will do everything we can to play tomorrow (MON) but and we’ll just see what Mother Nature gives us,” White added. It will be the third PGA Tour finish this season after Australia’s Jason Day and Sweden’s Alex Noren returned earlier this year for Day to capture the Farmers Insurance Open at Torrey Pines, California. And American Troy Merritt won on a Monday in capturing last July’s Barbasol Championship in Kentucky.